The Queen City prides itself on its supportive business attitude and the vital, growing firms that benefit from it. In return, businesses and the services that support them have helped shape the city and the region into an area with a strong and diverse economy, high-quality expanding workforce, solid technical, educational and transportation resources, vibrant communities and diverse lifestyles. 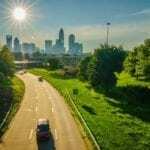 The influx of new, skilled workers to the area and partnership between the private sector and public agencies ensures that Charlotte will continue to be a great place to do business. 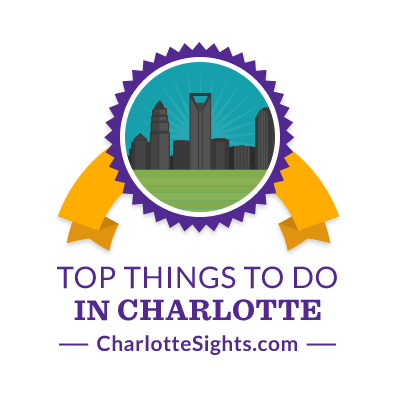 Finance is a major player here; with more than $1.8 trillion in assets, Charlotte is second only to New York City. Five of the nation’s top 150 banks have operations in Charlotte. The two largest banks in the country in terms of deposits, Bank of America and Wachovia Corporation, are based in Charlotte. Both institutions have branches throughout the nation and provide specialty banking services worldwide. If you flew in for a job interview or a house-hunting trip, you’ve already seen Charlotte/Douglas International Airport, the 23rd busiest airport in the world and 2nd busiest in the US in terms of passenger traffic. The facility, on the city’s west side, averages 587 flights daily and enplanes more than 28 million passengers each year. Charlotte is the largest hub for US Airways, which offers flights to points all over the United States and internationally, including non-stop service to 123 destinations. Another new business is the Billy Graham Evangelistic Association headquarters, which recently moved from Minneapolis to Charlotte- Billy Graham’s hometown. The headquarters adds hundreds of new jobs and draws thousands of tourists. In 2006, the U.S. National Whitewater Center opened, a world-class whitewater park modeled after the 2000 Olympic site in Australia. Located at the intersection of I-85 and I-485, the U.S. National Whitewater Center brings in tourists, outdoor sports enthusiasts and professional athletes from across the country.